Chances are if you have played the Pokemon series before, you've heard of EV Training. Pokemon Sun and Moon have added some new ways to EV train, as well as making normal EV training easier. What are EVs and what is EV Training? - The basics of what EVs mean and what EV training does. EV Training Methods - The different ways you can increase EVs in Pokemon Sun and Moon. EV Training Spots - Pokemon and spots that are good for EV training. What are EVs and what is EV Training? EV stands for Effort Value, and this raises your Pokemon's stats. Every time you defeat a Pokemon, you get 1 or more EV points in a particular stat. These are not actual stat points, because every 4 EVs gives you 1 actual stat point. Each Pokemon gives a certain stat, so it is important to know what that is before training. As you gain EVs for certain stats, those stats will increase higher than normal. For example, if you defeat only Pokemon that give Special Attack, you will increase your Special Attack stat by a lot when you start to level up. In contrast, your other stats will not rise as much. Each Pokemon can only gain 510 total EVs and each stat can only go to 252. This means that if you max out 2 stats, you will have 6 points left over. Every point makes a big difference so it is a good idea to focus on no more than 3 stats. 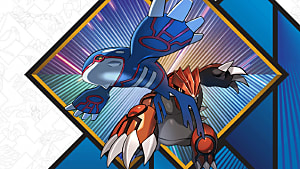 Making a Pokemon "balanced" will not help it in competitive battling because its good stats will not be high enough. 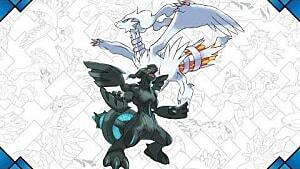 Let's take a new Pokemon, Salazzle for example. It has a great Speed and Special Attack but the other stats are below average. You would want to max out EVs in Speed and Special Attack because this is what Salazzle is good at. The extra points would go into HP, because it is only 1 extra point and gaining more HP is always helpful. As I pointed out earlier, you gain Evs by defeating Pokemon, so EV training is simply defeating Pokemon until you have Max EVs, 510. Most Pokemon give 1-2 EVs in a certain stat. Normally, it would take forever to EV train, but there are ways to speed this up. Power Items are held items that increase the amount of EVs you gain from a certain stat by 8. You can buy these with Battle Points (BP) at the Battle Royal Dome on Akala Island. You get Battle Points from winning at the Battle Royal Dome or Battle Tree after finishing the game. This means you can get 9 or 10 EVs from a Pokemon if you hold one of these items. 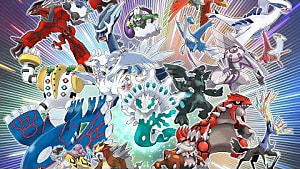 Pokemon that are called into battle because of the new S.O.S feature will give you double the amount of EVs. This is applied to every new Pokemon that appears, so if you have a held item, you can get 18-20 instead of the 1-2. 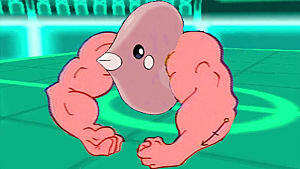 There is also a rare virus called Pokerus that you can get on your Pokemon. Do not be alarmed, this is a very good thing and will not harm your game or Pokemon in anyway. 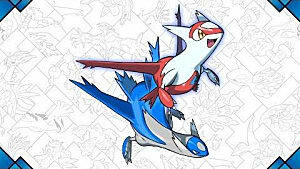 If a Pokemon has Pokerus, it doubles the amount of EVs it gets. This means if you have a held item and defeat called Pokemon, you will get 36 EVs for a Pokemon that normally gives 1. 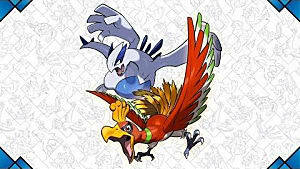 As you are going through the story, you will fight all kinds of Pokemon that give you different EVs. For this reason, you will usually have to breed the Pokemon you want to use competitively since they will start at 0 EVs. You can reduce your EVs by using certain berries, but this can take a long time since you will have to find them and grow them on Poke Pelago. If you have the Friendship Cafe/Parlor in the Festival Plaza, you can also buy meals to reduce certain stats. If you want to check a Pokemon's EVs, just open the summary of that Pokemon when you are not in battle, then press Y. The yellow graph in the middle shows their initial base stats, and the orange or blue graph shows how many Evs it currently has. Yellow means it does not have max Evs of 510 and Blue means it does have max. If a stat has sparkles near it, it is maxed out. There are ways to raise EVs other than normal training. The other 3 methods are Poke Pelago, Festival Plaza, and Vitamins. If you build the Isle Evelup in Poke Pelago, you can set Pokemon there to train on a certain stat. You can set multiple Pokemon and how many sessions they will complete. Each session last 30 minutes and will grant 4 Evs in the chosen stat. This is a slow, yet passive way of training stats. This is good to use in addition to normal training or when you won't be playing/using that Pokemon for a while. Check out my guide on Poke Pelago if you want more detailed info on how it works. The Festival Plaza has Bouncy Houses that lets you raise EVs in certain stats, but can only be used once a day. You can get multiples of the same house if you want to raise more. The Pokemon Center at route 10 in Mount Hokulani sells vitamins that you can use to raise EVs. This is located on the 3rd island, Ula'ula. Each one raises a certain stat by 10 points, but you cannot raise it past 100 using vitamins. If you are already at 100 or higher, you cannot use them. They cost 10,000 each. The main method will still be old-fashioned EV grinding, so you will want to know good spots for the stats you want to raise. These will all be on the 1st island, Melemele, for convenience. Feel free to let me know of any other spots you find helpful. It is best to have a Pokemon with False Swipe to lower the health of the original Pokemon, then knock out all the others it calls. Caterpie, Route 1 - These give 1 HP EV each and are very common. Be careful because if it calls Metapod or Butterfree, you will need to run. Those 2 do not give HP EVs. Munchlax/Happiny Route 1 - These also give 1 HP and Munchlax can call in Happiny. I prefer this, but they are not as common as Caterpie. They are in the grassy areas where you have to use Tauros to break rocks. Yungoos or Pikipek, Route 1 - These give 1 Attack EV each and are very common. Rogenrolla, Ten Carat Hill to the south of the island - These give 1 Defense EV each, but do not fight its evolved forms. Cubone, Wela Volcano Park on Akala Island - I like to use these sometimes just to try to get a shiny Cubone. They are easier than Roggenrolla since they don't have Sturdy, which lets Roggenrolla survive with 1 HP. The only problem is that they can call Kangaskhan sometimes, which do not give Defense EVs, so you will need to run. Oricorio, Melemele Meadow on Route 3 - These give 2 Special Attack EVs each and are fairly common. Gastly, Hau'oli Cemetery on Route 2 - These give 1 Special Attack EV, but are Ghost type so False Swipe won't work on it unless you can change their type with a move like Soak. Magnemite, Trainers' School on Route 1 - These also give 1 Special Attack EV, but they can survive 1 hit if they have Sturdy. 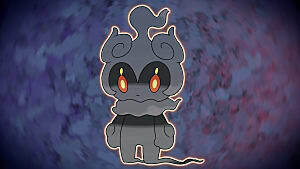 Ledyba, Route 1 - These give 1 Special Defense EV each and are common. You can only find them when it is daytime in your game. Drowzee, Route 2 - These also give 1 Special Defense EV and can be found any time in the day. 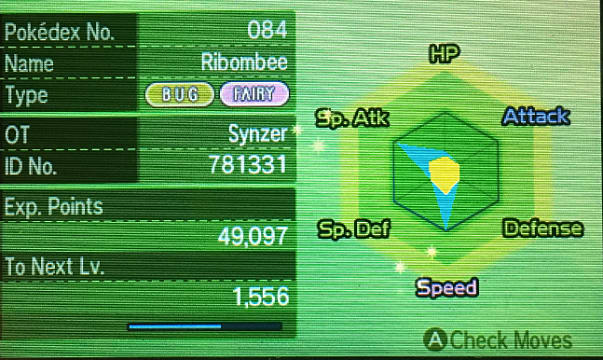 Spearow or Cutiefly, Route 3 - These give 1 Speed EV each and are very common. That's all for my guide on EV training in Pokemon Sun and Moon. Let me know if you have any questions!